Heavy Duty Wooden Storage Vaults. Our storage vaults are durable and quality constructed using stronger than industry standards on wooden storage vault construction for warehouse equipment. Our storage vaults have forklift access on 4 sides and are used by moving companies and at many public storage warehouses. 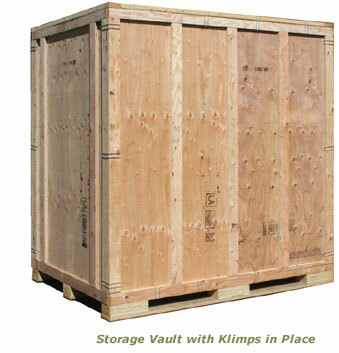 Our company's storage vaults come in standard sizes, or can be custom designed and engineered to your specifications. 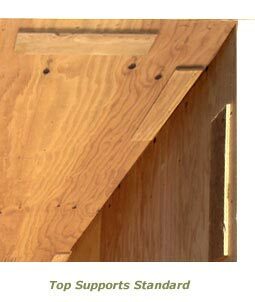 Our storage vaults are constructed on all 4 sides with 1-1/8" x 4" plywood lumber frame, and 3/8" Fir plywood construction storage vault sides, end panels and top panels. 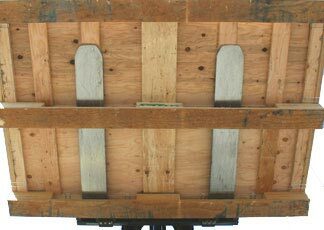 The storage vault floor is constructed with one piece solid 1/2” plywood on a 1-1/8" x 4" frame braced on 3 anti-tip runners. 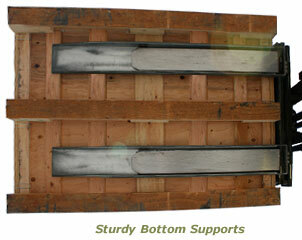 The base construction allows for easy access on all 4 sides and protects the base from fork lift damage. Our company's storage vaults are designed to be easily assembled and disassembled using standard Klimp fasteners and clamps. 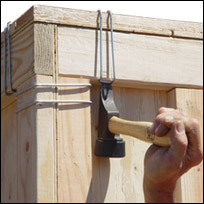 It takes less than 5 minutes to set up or disassemble our wooden storage vaults. 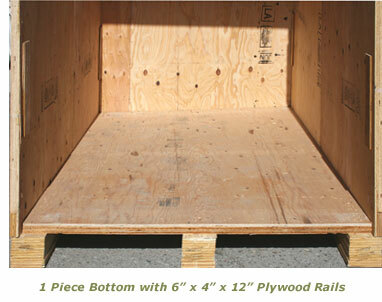 Our wood storage vaults are rated to stack up to 3 high with a forklift. Our friendly staff can help you get your custom storage vault with options you may need. 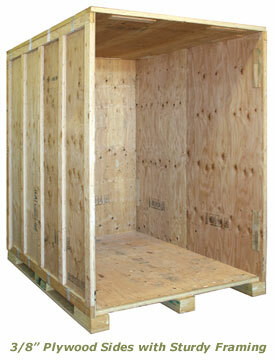 Caseworks' warehouse storage vaults are designed to be durable to withstand frequent use and handling. Whatever your storage vault needs, Caseworks builds durable custom wooden storage vaults that will last for years to come. 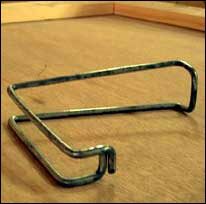 See our Klimp fasteners page for additional information regarding these versatile fasteners.